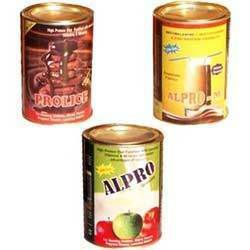 Leading Manufacturer of protein powder from Jaipur. Avail the finest quality of Protein Powder, offered by us, specially manufactured from high quality nutritive ingredients procured from trust worthy vendors of the market. Our Protein Powder is highly nutritious, and enriched with the goodness of fiber, protein and vitamin. This Protein Powder is widely demanded as it is vital for healthy skin, good for diabetic patients, maintains sugar level in body and hygienically processed. Our Protein Powder is rich in flavor and taste. We are offering this Protein Powder, in bulk at market leading prices.